Thumb’s Up . . . The summer of 2010 is drawing quickly toward its conclusion on the calendar. The heat and humidity have begun to wane in favor of crisp days and cool nights. The wildflowers of the West Village are also approaching the end of the growing season. 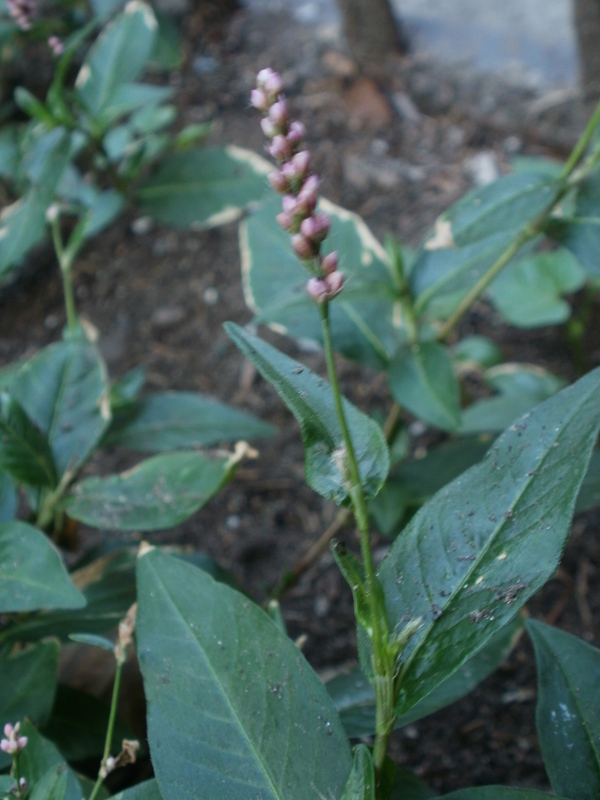 Those that remain are some of the hardier and more common annuals, one of which is the most familiar member of the knotweed family: the distinctively pink flowering Lady’s Thumb, Persicaria vulgaris. Lady’s Thumb is another one of those iconic wildflowers that has been a part of my own personal outdoor experiences since I was a boy. During my summer vacations, whenever I set out to go bird watching in the scrub woods flanking the city steps of Pittsburgh, or hiked down to the Allegheny River to dunk bread balls for carp and catfish, there was, along the edges of my eyesight, the pink blooms of Lady’s Thumb. The flowers, actually upright compound racemes called panicles, consist of small individual blossoms, which always reminded me of tiny bunches of grapes, set downside up. 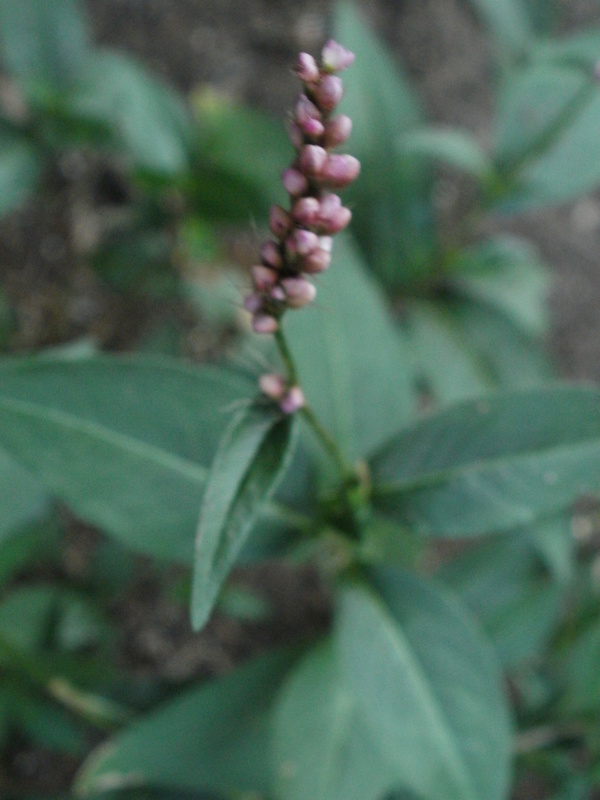 Lady’s Thumb grows throughout the green spaces of the West Village and tends to establish colonies. The plant will frequently take over a tree pit if one becomes rooted and is left undisturbed. I found such a batch sprouting along West 12th Street during the month of June, and the plants continue to thrive there. 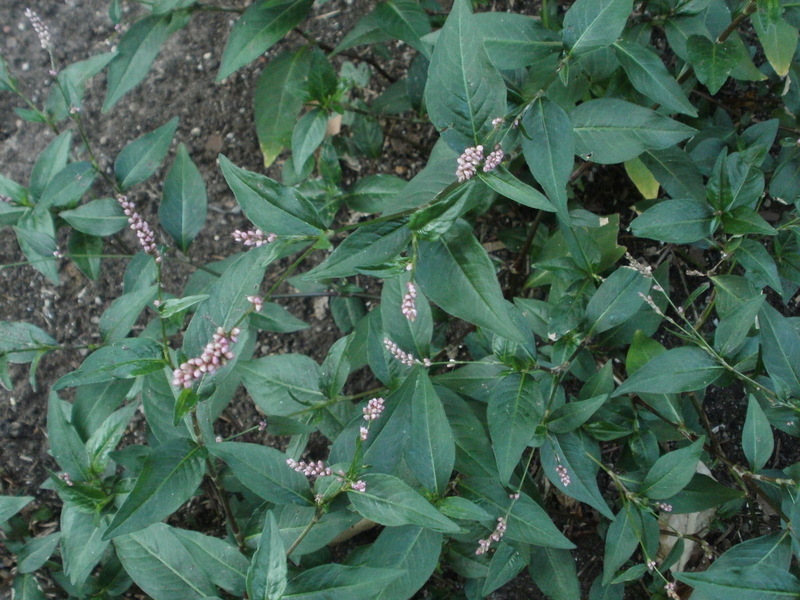 This knotweed is a European immigrant, a member of the family Polygonaceae, and its identification is complicated only by one other plant, one of Asian extraction. The deep green and hairless lanceolate leaves alternate along its stems and resemble the Asiatic Dayflower before it blooms. Like the Dayflower, the leaves are edible when steamed and have a flavor akin to spring pea pods. When the pink panicles begin to emerge above the leaves, there is no more confusion, as its blooming in no way resembles the two dainty blue petals of the Dayflower. She is, in fact, one tough lady. The hardiness of Lady’s Thumb can be witnessed along the edges of construction sites, sometimes even in sidewalk cracks. The plant will grow wherever it finds a hint of soil and can begin to bloom when it is little more than a sprig standing a few inches in height. Attractive, yet relatively understudied, Lady’s Thumb is one of the last of the summer season’s wild flowering faces. Its presence along the margins offers a positive thumb’s up in the form of its pretty-in-pink blooms.